Maps and globes can be quite handy in professional presentations, as you can display different strategic locations in your slides to emphasize important aspects of your presentation topic. Many a times it is far better to make use of maps to display marketing plans, technical models, hypothetical diagrams regarding the impact of a specific policy, etc. But maps can be rigid to work with and might not give you the flexibility you need, unless they are available in editable form. 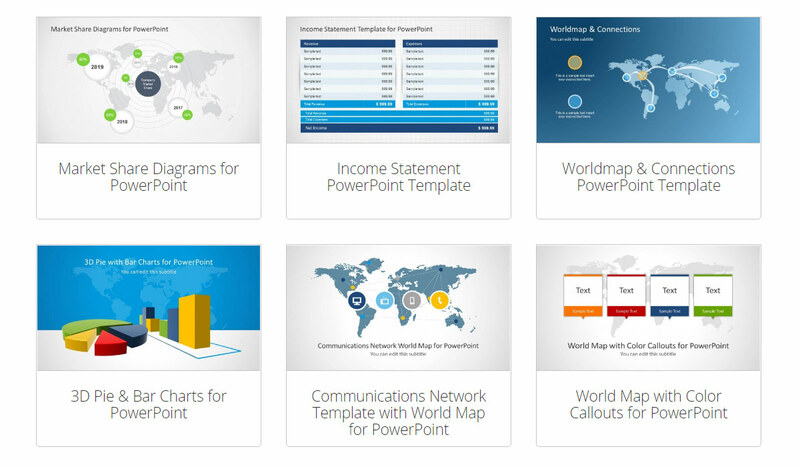 If you require editable World Map Templates for PowerPoint with attractive graphics, then we have a few suggestions for you which might just fit the bill. 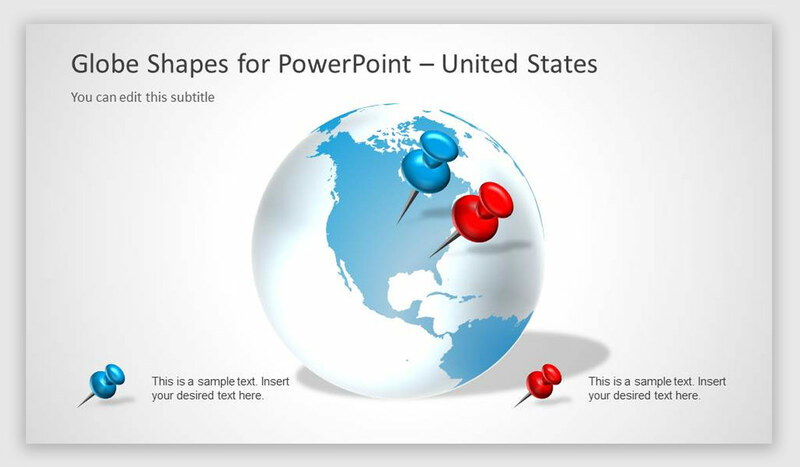 Following is a list of editable PowerPoint Map Templates which are highly customizable and easy to edit. With these templates you can single out very specific areas and even recolor them to suit your needs. 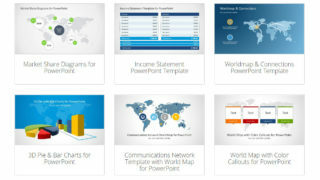 This is an excellent template for making presentations about business, marketing, sales, connectivity, globalization, etc. 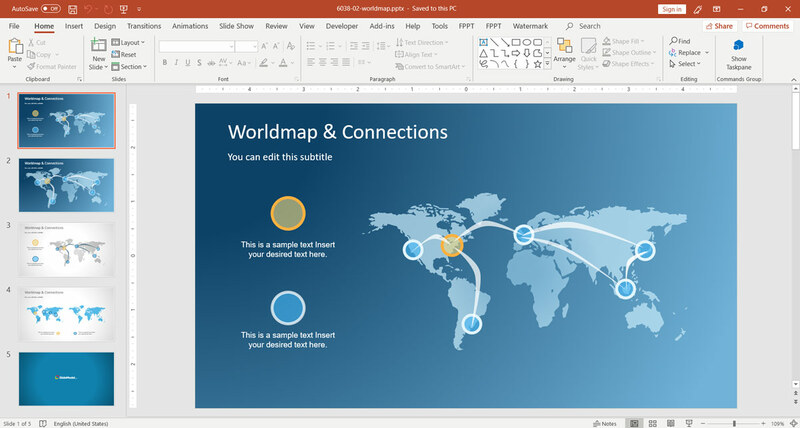 The sample slides have a simple, yet elegant layout with connectors and lines depicting a network on a world map. You can customize this template by moving the connectors and lines via drag and drop. Furthermore, you can also recolor and resize individual objects like connectors and lines. 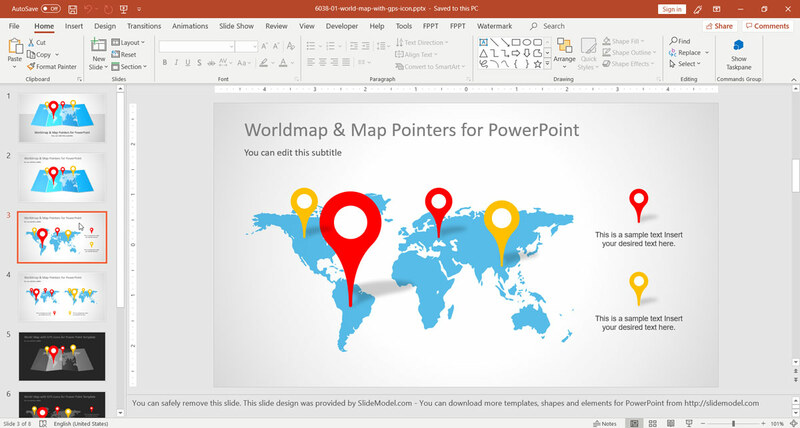 This PowerPoint template provides a world map with GPS pointers that can be dragged and dropped across your slides to highlight important areas. The template offers various background colors and slide designs that can be quite useful for making presentations where a world map might be required. 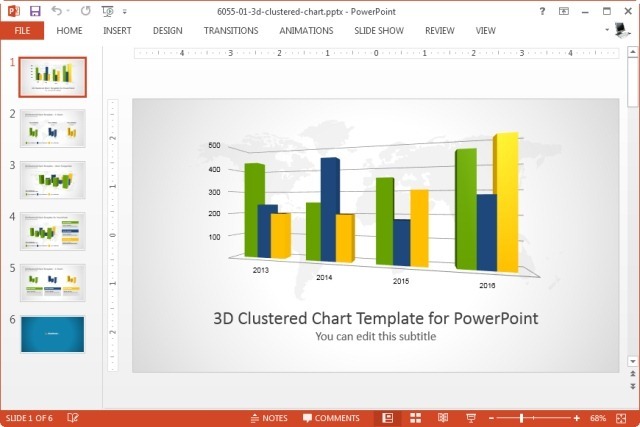 Present your charts in style with a world map and attractive 3d layouts with the 3D Pie & Bar Charts Template for PowerPoint. This template contains 3D editable charts with the background of the world map that can help you present your statistical data in style and with a better visual and psychological impact, especially if your stats are relevant to more than one country or region. This template has quite a novel design as it provides different sample slides with the globe and map markers, which can help you mark different areas on the globe. The template makes good use of whitespace, which can have a visually relaxing impact on your audience. 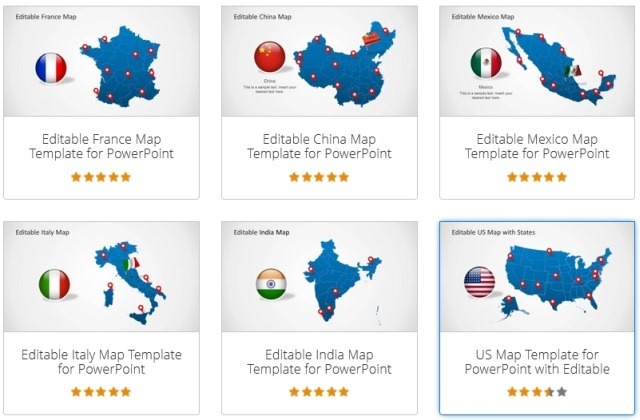 In case you require editable maps for specific continents, you can check out our collection of Continent Map Templates for PowerPoint, including editable map templates. These templates have each country available as a sub-map which you can extract from the main map via drag and drop. Find a map for your country with your nation’s states, provinces and important regions laid out in editable format. 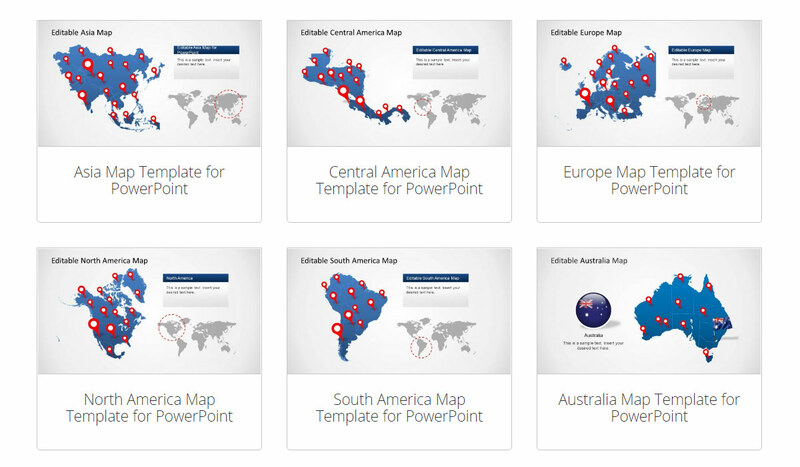 See our collection of Country Map Templates for PowerPoint and download the map for your country. Tags: Business Plan Template, Business PowerPoint Templates, Business Presentations, Chart Templates, Map Templates, Maps, PowerPoint Shapes, Sales, Templates.